Getting your finances on order after Christmas can seem like a daunting task but saving money in 2019 couldn’t be easier. We’ve rounded up 11 sure-fire ways to help you cut the cost of your spending and get some extra cash in the New Year. The Help to Buy Isa – the savings account designed to help people buy a property. enters its final year of availability in 2019 – it will be closed to new savers on 30 November. This tax-free savings account allows you to save £200 a month (in addition to a £1,000 lump in your first year), and the government adds a 25% bonus to be used when you complete your property purchase. You can check out the best rate Help to Buy Isas on Which? Money Compare. Once the Help to Buy Isa is gone, there is an alternative – the lifetime Isa. This allows you to save even more than a Help to Buy Isa (£4,000 a year), but the market for accounts is currently much smaller. Find out how the two compare in our guide to the lifetime Isa. The average UK household has around £2,668 of credit card debt and the average credit card interest rate is 18.5%, according to The Money Charity. Trying to clear a balance of £2,668 at 18.5% APR would take just over four years to pay and cost £1,079.43 in interest if you paid in £75 each month. You can, however, freeze the interest and speed up the time it takes to clear what you owe with a 0% balance transfer credit card. By switching to a 36-month 0% balance transfer deal with no fee, for example, you could pay the same £75 a month and clear the debt in just over a year – saving £1,079.43. You can compare 0% balance transfer deals using Which? Money Compare and for more help and tips, check out our guide on the best 0% transfer credit cards. 3) Is Help to Save right for you? Around 3.5 million people are eligible for the Help to Save scheme, which launched in full in September 2018. 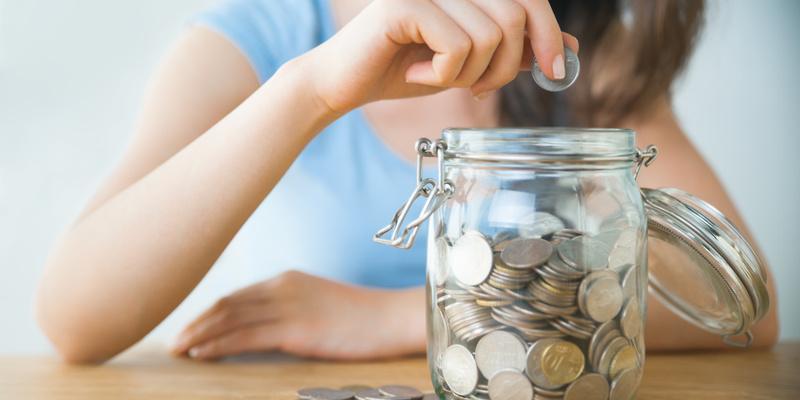 Over four years, savers can deposit between £1 and £50 every calendar month into a Help to Save account, which is held with the Treasury-backed body National Savings and Investments (NS&I). The scheme allows eligible savers to to get a 50p bonus for every £1 saved. If you deposited the maximum of £50 every month for four years, you’d have saved £2,400 and earned £1,200 as a bonus – for a total of £3,600. The Help to Save scheme is available for UK residents who are receiving working tax credit or child tax credit payments, or claiming universal credit and have a household or individual income of at least £542.88 for their last monthly assessment. Find out more in our story about the Help to Save scheme. Your mortgage is likely to be your biggest expense, and there’s a simple way to cut down your monthly mortgage payments. Remortgaging onto a cheaper deal could save you thousands of pounds a year, and you may not even have to switch mortgage lender to net a big saving. For advice on remortgaging and help finding the best mortgage deal call Which? Mortgage Advisers on 0800 197 8461 or fill in the form below for a free callback at a time that suits you. If you’ve got car insurance, home insurance and annual travel insurance, you’re being taken for a ride if you simply renew each year without challenging your insurer for a better deal. Loyal insurance customers are paying way, way over the odds for cover compared to new customers. Which? research published last year found that customers who stick with their insurer pay 38% more on average compared to new customers. Even if your renewal quote sounds like a good offer, it’s always worth checking to see what other deals are available on the market. Price comparison sites are a quick and easy way to see what’s on offer and even if you’d prefer to stick with the same company, you could use any better deals that you find as leverage with your insurer to haggle a better offer from them. Don’t limit yourself to haggling with your insurer, though. You could save hundreds of pounds challenging your providers of car breakdown cover, mobile, broadband and pay TV. For tips on how to haggle online and in the shops check out our ultimate guide to haggling. If you don’t, there are alternatives. The Two Together railcard (£30 a year) cuts a third off ticket prices when travelling in a couple, and the Family & Friends Railcard (£30 a year) cuts a third from adult fares when travelling with children aged 5-15 and as much as 60% on children’ fares. Up to four adults and four children can travel on one card. For more on how to save on train travel, visit our guide for finding cheap train tickets and watch the short video below. Switching to a cheaper energy deal could help you save hundreds of pounds instantly. Using an independent energy comparison website like Which? Switch can help you compare gas and electricity prices in a flash and find the best deal for you. It takes 16 days to switch your electricity supplier and 17 days to switch your gas supplier, on average, according to energy regulator Ofgem. For more information and tips check out our guide on switching energy supplier. If you shop online you should try to get into the habit of using cashback websites to save every time you make a purchase. When you shop using the tracked links from Quidco and TopCashback you can earn a percentage (typically 1%-15%) of what you spend back. Both sites allow you to earn around £300 a year using this simple shopping trick. For more information and tips check out our cashback websites guide and watch the short video below. If you struggle with manually keeping on top of your budget, it might be worth giving personal finance software a try. Personal finance software can help you manage your finances including your bank accounts, credit cards, investments, income and expenditure from your laptop, computer or mobile phone. We’ve put several leading packages to the test to find the best personal finance software on the market. Alternatively, many new services are using Open Banking – a way of securely sharing your bank account transaction data – to help you manage your finances and see all of your accounts in one place. These apps are usually free to use – find out more in our story about Yolt and other smart budgeting apps. If you regularly buy hot drinks on-the-go, a reusable cup or travel mug could help you save money on your purchases. More and more high street coffee chains offer discounts if you bring your own cup from home. Exclusive Which? 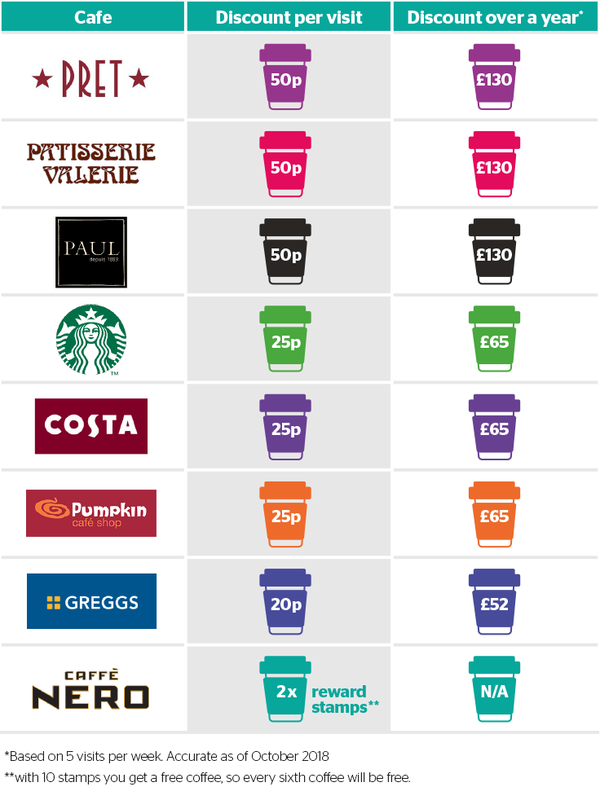 analysis revealed that a reusable cup or travel mug could save you up to £130 over the course of a year. The table below shows how much you could save at different chains over the course of a year, based on buying five drinks a week. One easy way to save money is by moving your subscriptions to a family package. Spotify, for example, offers Spotify Premium for Family which allows up to six people living at the same address to share a subscription for just £14.99 a month or £179.88 a year. Depending on the size of your house this could save you your family up to £539.40 over 12 months compared to taking out individual Spotify Premium subscriptions for £9.99. Amazon Prime and Netflix also allow you to share benefits of their deals for less than paying for multiple subscriptions. Your home may be repossessed if you don’t keep up with your mortgage repayments.